Right now, I'm working on a book illustration commission, for a book about the history of desert bighorn sheep near Tucson, Arizona. Since I have in-laws in Phoenix which we visit every Christmas, my husband, father-in-law, and I took advantage of the opportunity to drive a little further south to see (and sketch!) the ecosystem I'm illustrating. 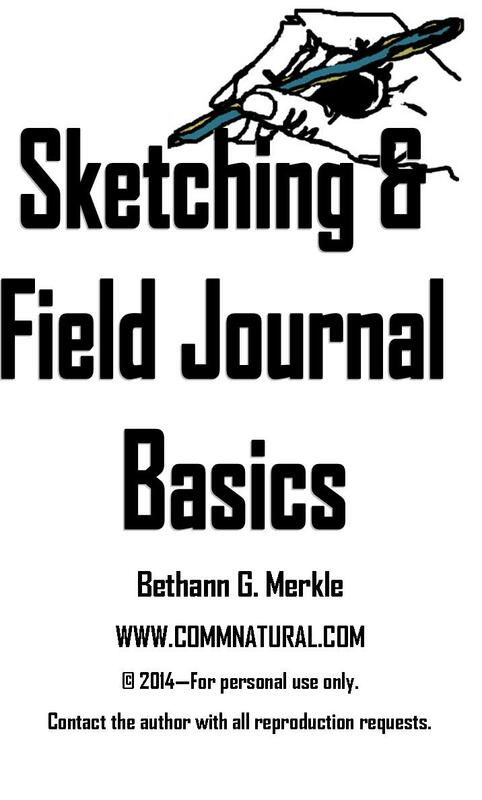 While they photographed and frolicked with our new puppy, I sketched to my heart's content. I also happened to bump into a newspaper reporter, while standing atop a parking garage sketching the Tucson Valley. The encounter actually led to a bit of online media coverage of me sketching on location! The Catalina mountains, surrounded by a 'human fence' created by development. These mountains are the focus of the book I'm illustrating, and a recent bighorn sheep reintroduction project. 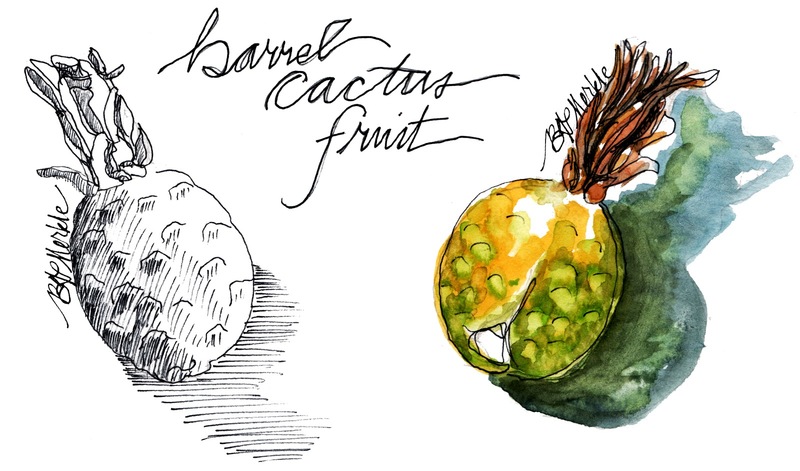 A barrel cactus fruit, rendered in pen and ink (left) and watercolor and ink (right). 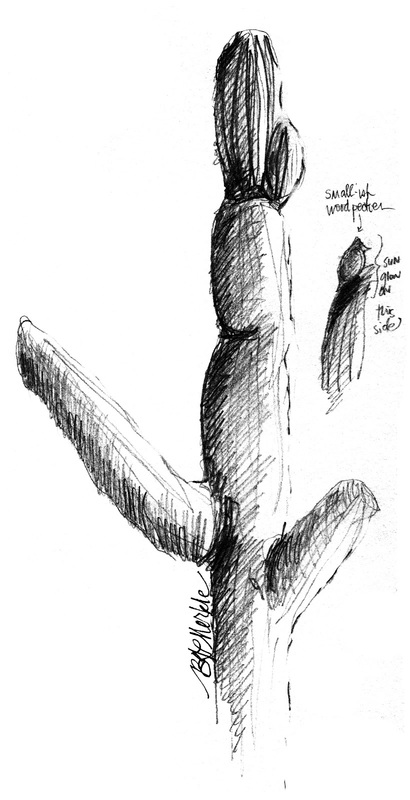 Beware the enthusiastic artist - I spent days picking and rubbing at the fine prickly hair-like needles coating the cactus fruits I handled.